If you’re like me, you sometimes forget about the finer things in life. And in many cases, it means suffering through yet another fast food burger or breakfast when there’s a perfectly good opportunity right down the street that offers sit-down service, big smiles and some great food. The Cypress Inn in Cross City is one of those “joints”. You’ll be surprised to find the interior of The Cypress Inn just as it was when the building was built almost 90 years ago. It’s likely the most “pecky” cypress you’ll ever see! 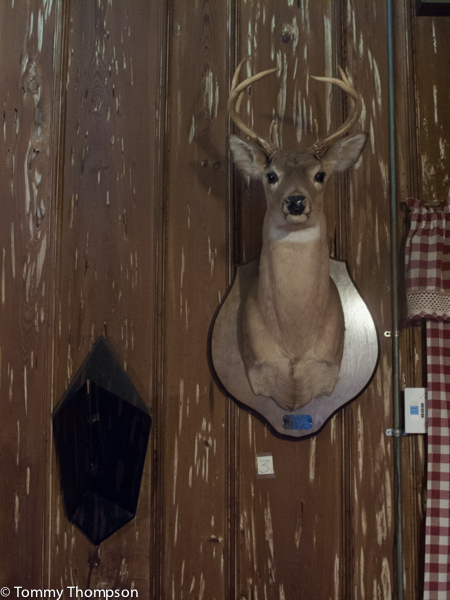 There’s nothing fancy about The Cypress Inn. Breakfasts are hearty and the pancakes meet my high standards, as does the coffee. Expect to find buffets for lunch and dinner, with several seafood and meat choices. 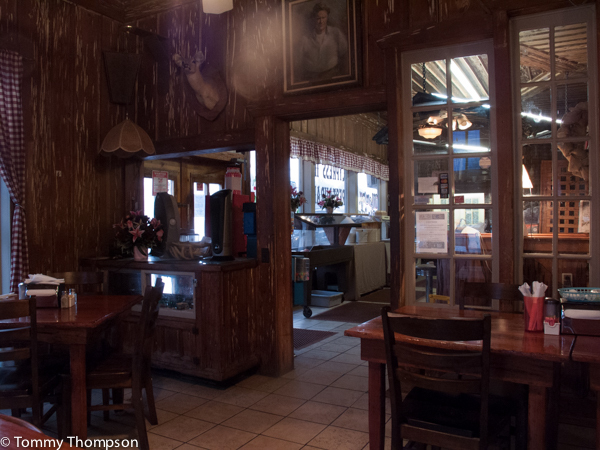 Essentially, it’s a DIY “meat and three” place, with friendly servers and a relaxed atmosphere. And it’s where the locals meet–always a good sign! 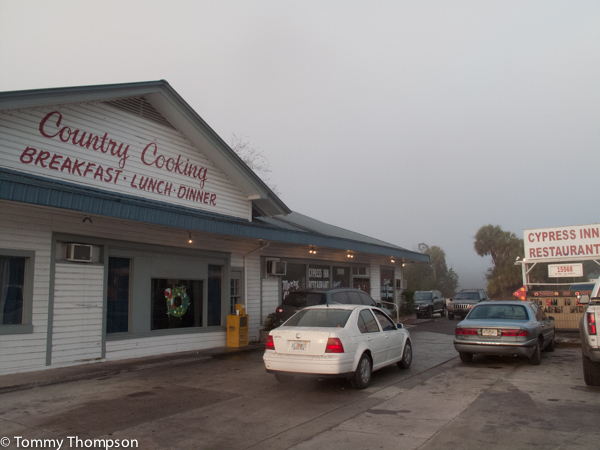 The Cypress Inn, located on US19/98 at the northern end of Cross City, is open from 5:30AM ’til 9 Monday thru Saturday. They’re closed Sunday. (352) 498-7211 It’s located just across the highway from the newly-renovated and re-opened Putnam Lodge. 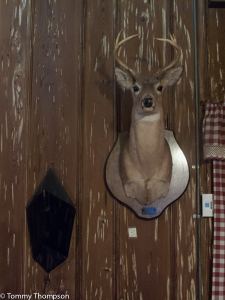 You never know who you’ll meet at Cross City’s Cypress Inn.